Derived from the Piper Methysticum plant, kava has been used as an alternative medicine to relieve stress and anxiety. Despite these kava benefits, the drug can have both moderate and dangerous interactions with other substances such as alcohol, antidepressants, and benzodiazepines especially if taken in higher doses. Because of this, medical consultation is recommended before taking the drug. There is a wide range of substances, pharmaceuticals, and herbs of interest that kava can combine with. Does kava work when mixed other elements? Is It Safe To Mix Kava With Other Substances? What Are The Dangerous Kava Interactions? What Are The Moderate Kava Interactions? How Does Kava Interact With Kratom? Can One Mix Kava And Alcohol? Is It Safe To Combine Kava And Damiana? What Are The Effects Of Kava And Weed Interactions? Mixing intoxicating pepper with other substances is not always safe. For instance, elements that depend on the CYP 450 enzymatic pathway for metabolism may end up not being metabolized when mixed with the herb. This is because the drug inhibits this pathway. Substances like alcohol depend on liver enzymes such as alcohol dehydrogenase for metabolism. Combining Kava and alcohol, therefore, impedes the breakdown of the later causing the blood-alcohol level to rise and increasing the chance of kava liver damage. While it is essential to appreciate its effectiveness, interactions with the drug are still subject to research as scientists seek to ascertain the mechanism through which such interactions affect the body system. Because of this ongoing research, users of mixtures involving the drug are advised to exercise caution. Long-term usage and great kava overdose have been associated with heart problems, scaly skin, and eye problems. Consuming the herb while taking other substances such as alcohol and antidepressants can result in severe kava drug interactions. Generally, interactions between the herb and synthetic drugs can potentially interfere with positive effects that could have otherwise produced from its use. Therefore, deciding whether it is safe or not to mix the herb with other substances depends on the nature of the contents and the effect they will have working together. Alcohol – Combining kava and alcohol increases the probability of liver toxicity. When left unchecked, the interactions can cause cirrhosis or even liver failure. Sedatives – Taken alone, the herb causes drowsiness and sleepiness. When taken in combinations with prescription or OTC sedatives, the drugs may cause lethargy or even coma. Phenibut – Even though the herb binds onto GABA-a and phenibut onto GABA-b, the fact remains that both phenibut and kava are GABA agonists. When mixed, the two drugs result in effects such as extreme drowsiness, nausea, lowered blood pressure and to some extent, renal complications. Analgesics – Combining the drug with pharmaceutical painkillers may cause liver hepatotoxicity or even kidney damage when taken in higher doses. Anesthetic Agents – The herb is an anesthetic, causing a relaxation of muscles and inducing numbness. Mixing it with muscle relaxants can cause postoperative delirium, nausea and vomiting, and muscle aches. While some of the kava interactions as seen above can be dangerous, other combinations have a mild effect and do not last for a very long time. Dopamine – The herb is an inhibitor to dopamine receptors and transmitters. A kava and Xanax combination can intensify the drowsiness that both drugs cause separately. Benzodiazepines – Both kava and benzos act on the central nervous system receptors adding to the drowsiness effects each drug has when consumed separately. In stores online and bars, it is common to find kava and kratom sold alongside each other. When used separately, both drugs are effective in relieving anxiety and inducing a feeling of relaxation. 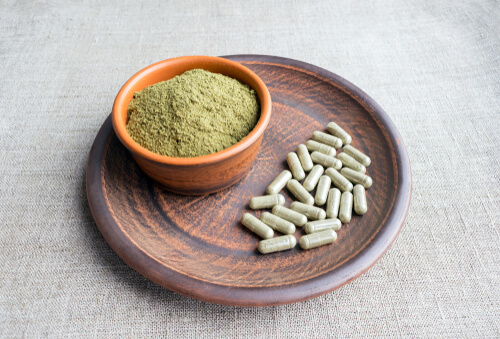 Typically, kava kratom interactions enhance a sense of well-being, reduces anxiety substantially and gives one a better chance of combating depression. Another effect of kava and kratom mix is the stimulation of critical biochemical routes known as the serotonergic and dopaminergic pathways. This stimulation enhances mood, causes analgesic effects and gives relief from fatigue. While the above benefits of kava kratom combo are undoubtedly commendable, there are drawbacks in interactions between the two drugs. Renal failure and hepatic complications have often been associated with chronic dosing of kratom and kava mixtures. The damage the mixture causes to renal glomeruli is incredible and often graduates into bloody urine. Other than weight loss and body tremors, dermatological kava kava effects like scaly, dry yellowish skin may also result. There is also a risk that kratom and kava can have interactions with other substances such as alcohol. When this happens, it may potentially cause liver cirrhosis. Interactions between kava kava kratom mixture and medications like anxiolytics and diuretics are often poor thus lessening the effectiveness of the drug. There are different ways of combining kava and kratom. The most common is blending the two drugs with milk and then straining the mixture to remove the splintery fibers and root fragments. This is also known as the milkshake technique. The other method used is not per se a direct mixture, though popular with users. Kratom is taken first, preferably on an empty stomach and after that followed by a dose of the piper methysticum. To pad the stomach and fight off the often bitter and unpleasant aftertaste one can take some food. Taking kava and alcohol at the same time is usually an attempt by some of the herb users to heighten the effect of the drug making them reach a quicker onset of their desired outcomes. When the liver metabolizes alcohol, it uses the enzyme CYP 2E1. Coincidentally, the same enzyme is used in the metabolism of kavalactones. This means that taking alcohol and kava mixtures can put a strain on the metabolic pathway thus causing possible hepatotoxicity. Besides, kavalactones alter how specific enzymes such as alkaline phosphatase and gamma-glutamyl transferase work. These are the same enzymes involved in the metabolic processes to break down alcohol. Toxicity could again result when one takes kava with alcohol as the liver may relegate alcohol metabolism to second in rank after the drug. For a kava alcohol mixture, start with small doses and hydrate sufficiently to ensure the effects of alcohol and any possible toxicity is diluted. Kava extract and damiana powder can be mixed using water as the solvent. The other way is to steep the herb into cooled damiana tea. In about a few minutes after taking the mixture, feelings of euphoria sweep in. According to Erowid, a member-supported organization giving tons of information on psychoactive plants and chemicals, damiana and kava mixture is more effective than the two drugs assessed separately. Feelings of alertness, confidence, patience, and bliss often result when users consume kava and damiana simultaneously. Users also report being energized, more in control and having an enhanced sense of well-being. It takes about 30 minutes for effect to peak and lingers on for about 5 hours. That being said, the interactions can also give rise to psychological addiction. Therefore, it is advisable to buy kava kava extracts and damiana powder in dosages that when mixed, will not stress the body’s biochemical systems. Kava and weed purists would have it that consumers should stick to the two drugs in their separate forms without mixing them. There are two known types of cannabinoid (CBD) receptors: CB1R and CB2R. CB1R is abundantly expressed in the central nervous system and found in large quantities in the human brain while CB2R is found mostly in tissues and peripheral immune cells. One of the six main kavalactones in the herb is yangonin, a CB1R agonist. This means, it binds onto the receptor and activates it to produce feelings of euphoria and mild anxiety. Therefore interactions between the herb and marijuana have the effect of amplifying the great weed feeling as they work synergistically to activate the CB1R receptors in the endocannabinoid system (ECS). While that is all positive, repeated activation of the endocannabinoid system may lead to addiction as higher and more frequent does of the mixture impair the stress-reward system sensitivity. There are different ways to combine kava and marijuana. One of the most comfortable and most natural processes is to ingest cannabis and then wash it down with a high-quality drink of the herb. Instead of sipping it in small quantities, taking big gulps as this gives higher levels of enjoyment. The second way of combining the two is through kava and marijuana brownies. This is especially great news for people who prefer taking the two drugs in the form of supplements and delicious edibles. While the herb has been seen to have anti-anxiety effects through randomized controlled tests, it is crucial to fully understand the various interactions it has with other drugs and substances. 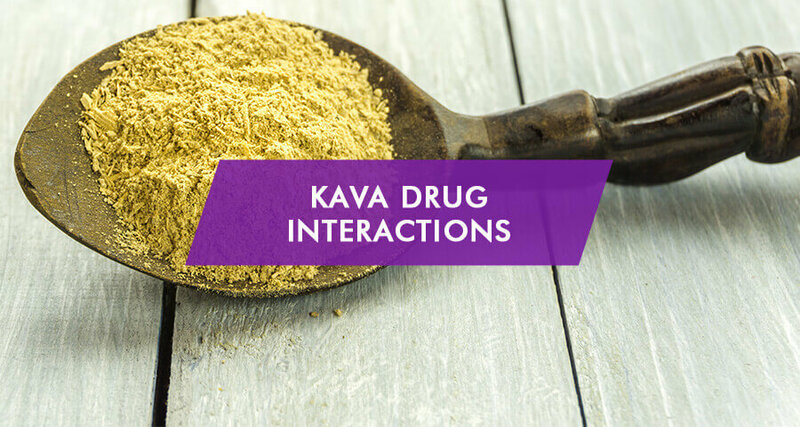 Seek professional help before opting for a kava mix and ensure timely reporting where drug interactions result in serious complications. The rehab facilities offer counseling and detoxification services for individuals that want to recover from kava abuse. Choose the one that fits the personal needs and start addiction treatment.